I wish I had one of these when I had a hinged cover for my old Kindle. 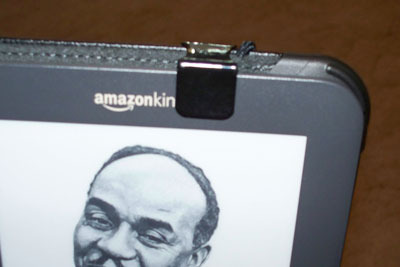 One problem I experienced with hinged covers was that if someone else picked it up carelessly, or I dropped it (oops), the Kindle would flap on the hinges and it would risk cracking. I had it for a couple of years and found a tiny crack at the end - nothing that upset me or damaged it, but it could have been worse. I have a Kindle sleeve these days, but still like hinged covers. If I get another, I'll be buying this clip too.